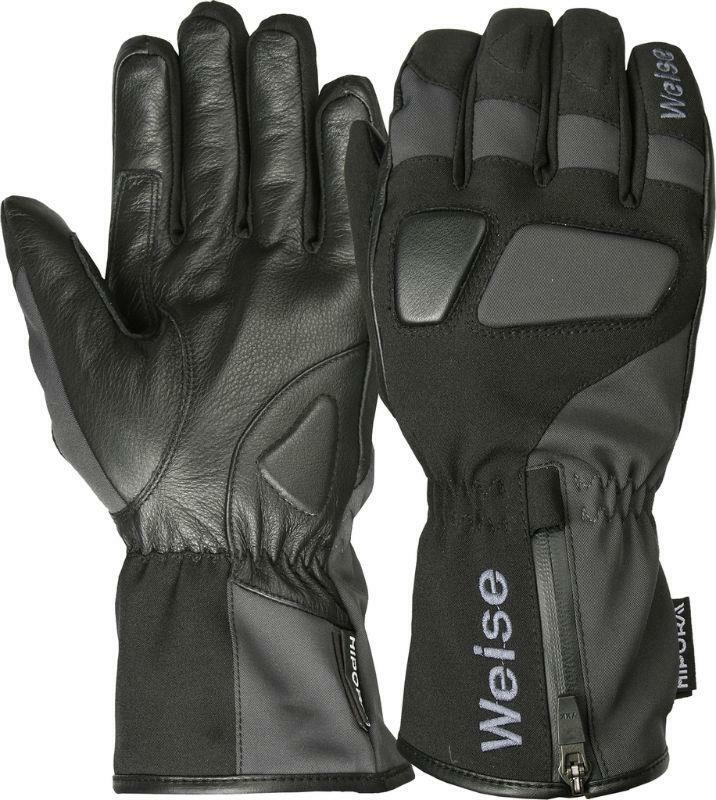 Weise has introduced two new winter gloves, claimed to be ideal for urban riders and commuters alike. The Sportec is claimed waterproof and breathable, warm and comfortable, and is said to be thin enough to allow freedom of movement. There's a waterproof zip at the cuff and elasticated wrist section to ensure a snug fit over or under the cuffs of winter jackets. The gloves have a leather palm and textile back. The Selene ladies glove is also claimed waterproof and breathable, and features a fleece inner lining for warmth. The Sportec is available in black/gun, black/blue and black/red, in sizes S-XXXL, and costs £49.99. The Selene is available in black/gun and black/white, in ladies sizes XS-XL, at £39.99.